Once a proponent and supporter of Hazrat Mirza Ghulam Ahmadas, Maulvi Muhammad Hussain Batalvi became one of the fiercest opponents of the Promised Messiahas. However, when the time came for him to consider his children’s welfare, with the advice of Hazrat Sheikh Yaqub Ali Irfanira, he chose Talim-ul-Islam School, Qadian for their education. Below is an interview an Ahmadi conducted in 1919. Therefore, I planned to meet him prior to this year’s Jalsa Salana in Qadian, provided he was in Batala [Maulvi Sahib’s home town] at the time. He accepted my request. As I was not personally acquainted with him, I wrote a letter to Munshi Fazl-ur-Rahman Sahib, munsif [judge] in Batala, to take my request and inform me of the response. Maulvi Sahib accepted my request as a result of Munshi Sahib’s efforts and agreed to meet me at his house. He also said that I should meet him prior to visiting Qadian so that I do not end up going to Qadian, a skill that he was known for being an expert in as he had been successful in stopping many others from visiting Qadian before. 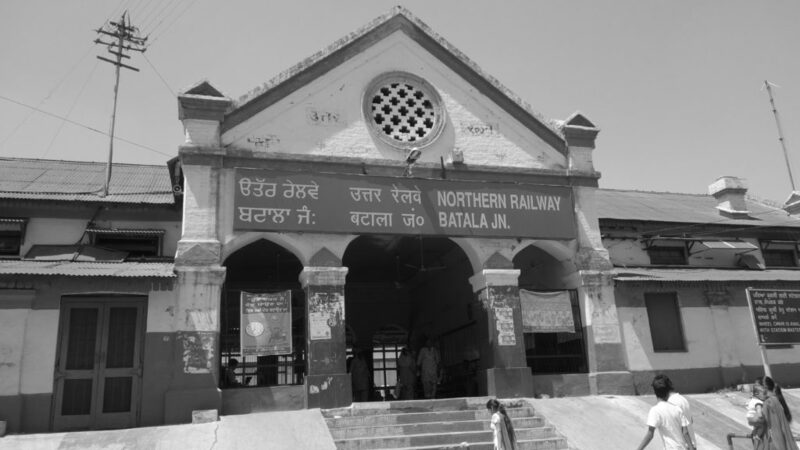 Thus, in the early hours of 16 March 1919, I reached Batala. After resting at Munshi Sahib’s house, I arrived at Maulvi Muhammad Hussain Batalvi Sahib’s house. After seeking entry, I was asked to come in. Upon entry, after seeing an aged man over the age of 80 surrounded by books, seated on a charpoy, with a fair complexion and henna-coloured beard, I expressed my curiosity about certain matters. Maulvi Sahib: Mirza Sahib’s father, Mirza Ghulam Murtaza Sahib owned a house in Batala and would reside in it. Mirza Sahib and I would study with a Shia teacher, Gul Ali Shah Sahib. 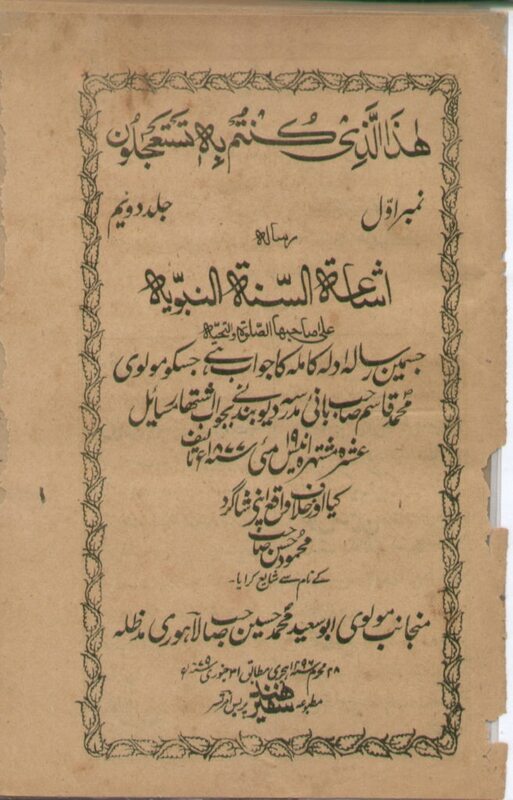 Hazrat Mirza Sahib was studying a book of medicine [Asbab-e-Tibb or Asbab] while I studied a book of grammar [Hidayat Nahv]. We studied together for about four months. Thereafter, my father sent me to another city for education. When I returned after my pursuit of education, after a long period, Hazrat Mirza Sahib’s book, Barahin-e-Ahmadiyya had been published. Clerics opposed the book. Meanwhile, I wrote a review saying that ilham [revelation from God] was possible and that review was published in my magazine, Ishaat-us-Sunnah. When Mirza Sahib claimed to be the Promised Messiah, that was when I opposed him and prepared an istifta [questionnaire] that was signed by around 200 clerics. I still have that document. I also had a debate with Mirza Sahib in Ludhiana, the documents of which I still have and which Mirza Sahib had published under the name Al-Haq [Mubahisa Ludhiana]. The details in the book are correct, however there are some additional details. Me: Have you read all of Mirza Sahib’s books? You have seen Mirza Sahib’s Arabic works; is the Arabic substandard as you have suggested? Maulvi Sahib: I would only read the books that were sent to me. I have not read all of them. I have pointed out mistakes in Mirza Sahib’s Arabic books, and this list has been published in Ishaat-us-Sunnah. Me: Hazrat Mirza Sahibas wrote books in Arabic with full conviction and challenged scholars to step forward and write in Arabic. You used to say that Mirza Sahib did not know a single root word of Arabic, whereas Hazrat Mirza Sahibas prayed to God and in one night, he was taught 40,000 words. Even the most famous poet/playwright of the world knew only 25,000 words. So did you write any book in response to this challenge, or even half a page for that matter? If so, could you please show me so that I may read it? Maulvi Sahib: I have not written any book in Arabic. My only work is Ishaat-us-Sunnah, which published for many years in the beginning, then ceased publication for nine years and again continued later. Me: When Mirza Sahibas made such a bold claim with great conviction … and got your attention, you should have written something in response if you didn’t consider him to be true. Maulvi Sahib: Mirza Sahib had a lot of money flowing in; with money, a person can do a lot. He had a Syrian write Arabic for him and would not write Arabic himself. Me: Maulvi Sahib, how unfortunate that in response to this very allegation of yours, Hazrat Mirza Sahibas wrote the Arabic part of Anjam-e-Atham. (After hearing these verses, Maulvi Sahib was left stunned and said, “Mirza Sahib must have studied Arabic.” He then told me to dictate those verses to him so that he could write them down. I told Maulvi Sahib that when Hazrat Sahibas wrote Ijaz-ul-Masih and made his claim with full conviction, I did not know Arabic at the time. Thus, I could not determine the standard of Hazrat Mirza Sahib’sas claim regarding Arabic. 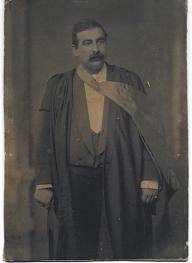 However, since I passed my master’s degree in Arabic in 1912, I realised that his level of Arabic was very high and erudite. I realised that even Al-Hariri’s Arabic did not compete with it. Me: Did you attend the Martyn Clark court hearing to testify against Hazrat Mirza Sahibas? Maulvi Sahib: Yes, he called me. Me: You define it to mean “to set free” and you say that Hazrat Mirza Sahibas was discharged in this court hearing, not acquitted. Maulvi Sahib: Yes, of course. I define it to mean “to set free”, not “to acquit”. Me: Are you aware that Hazrat Mirza Sahibas tore this allegation apart. Discharge in Arabic means “bari” [to acquit] and “acquit” is translated as mubarra in Arabic. Me: Maulvi Sahib, have you come across Barahin-e-Ahmadiyya Part V? Look Maulvi Sahib, how Hazrat Sahibas showed love to you! Maulvi Sahib: Please tell me the page number. Me: Do you also know that Hazrat Sahibas made a prophecy concerning you that you would eventually return to the truth? Maulvi Sahib: Yes, I am aware that he did. If it is fulfilled, then fine, otherwise it is merely a guess.